The earned income for the Roth IRA can be either wages (from working for an employer who witholds taxes and issues a W-2 form or self-employment income. If the income is less than the standard deduction (greater of $950 or $300 plus the kid's earned income, up to $5,700 in 2010), a kid would not pay any income tax. 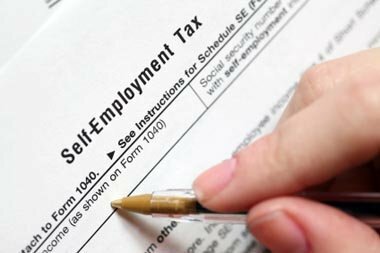 So kids could have no income tax to pay if they fall under the standard deduction, but they still may have self-employment tax to pay. Following are sample tax returns for three different amounts of self-employment earned income along with the corresponding Roth contribution worksheets. If kids have over $400 in self-employment income, they should file tax retuirns and pay taxes -- and then with the "after-tax" dollars they can fund their Roth IRAs. If kids earn under $400 in self-employment income, they do not have to file income tax forms or pay any taxes. However, as an educational exercise and as part of keeping track of earned income, kids may want to complete the tax returns and keep them as part of their documentation of earnings -- but they should not file the tax returens with the Internal Revenue Service (IRS).